In addition to a strong academic background, we believe that students thrive in an environment that offers an enormous amount of creative opportunities where they can express themselves and develop fine motor skills. We offer music and art classes, language immersion programs, and outdoor free-play designed to encourage your child to learn actively and socialize with their peers. Our goal at the Creative Learning Arts School is to open students up to the world beyond the classroom. Each month, our older students take field trips to museums, working farms, and other local places of interest. Creative Learning Arts is an encouraging place for socialization, where your child will receive personal attention. 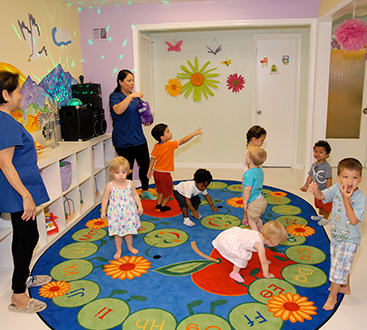 Our center offers an at home atmosphere where your child will feel comfortable as they grow, learn, and play.